When you register a patient in the International LGDA Registry for Lymphatic Malformations you are helping researchers worldwide unlock the mysteries of lymphangiomatosis and Gorham’s disease to find a treatment and a cure! Living with the Challenges of a Rare Disease from LGD Alliance on Vimeo. It is simple to join. There is no cost to join; the registry is supported by the LGDA. Your privacy will be guarded by encrypting your information and not sharing your name, address, phone number, or any other information that may be used to identify you or your family with other outside of the LGDA. You can help others and yourself by joining the registry and entering your information, which will help to better understand lymphangiomatosis and Gorham’s disease, as well as a number of other lymphatic and bone diseases. 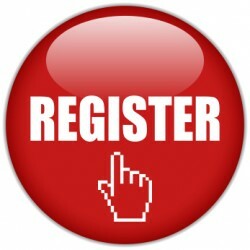 Joining the registry is an excellent way to receive notices about patient educational conferences and opportunities to participate in research, although this information is made available on our website, social networks, and newsletters so you don’t have to be a registry member to get it. You do not have to participate in the registry to be informed about or to participate in research studies or clinical trials. You can change your mind and withdraw from the registry at any time without any explanation. We do ask that you update your profile regularly.